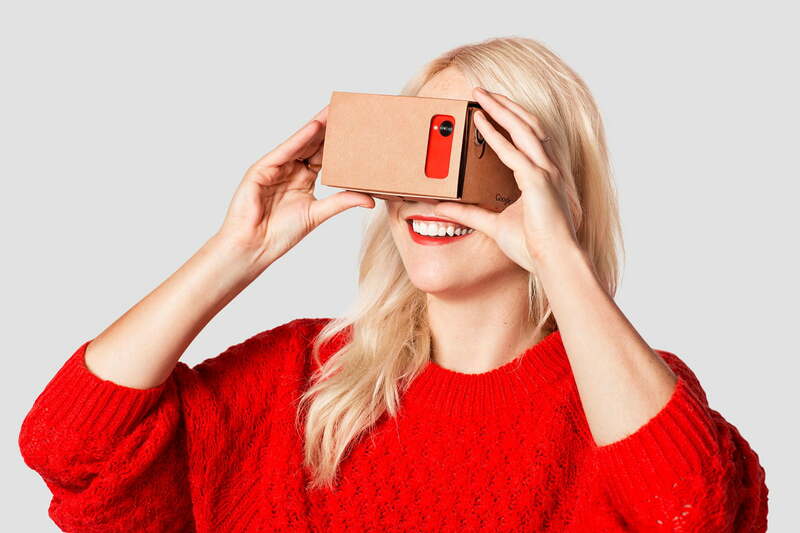 Google is about to double down on virtual reality. Digital Trends exclusively reported that the Mountain View, California-based search giant intends to launch virtual reality-focused pop-up events in New York City and other locations around the world from October through December — presumably featuring hardware, peripherals, and software a part of its Daydream platform. We have confirmation now, thanks to the Made By Google website. It lists a location — 96 Spring St., New York — and an October 20 kickoff date. It’s unclear just which devices will be on hand at the pop-up event’s locations, but it’s likely we’ll see all the hardware products announced at Google’s October 4 event — Google Home, Chromecast Ultra, the Pixel and Pixel XL smartphones, Google Wifi, and Daydream View. 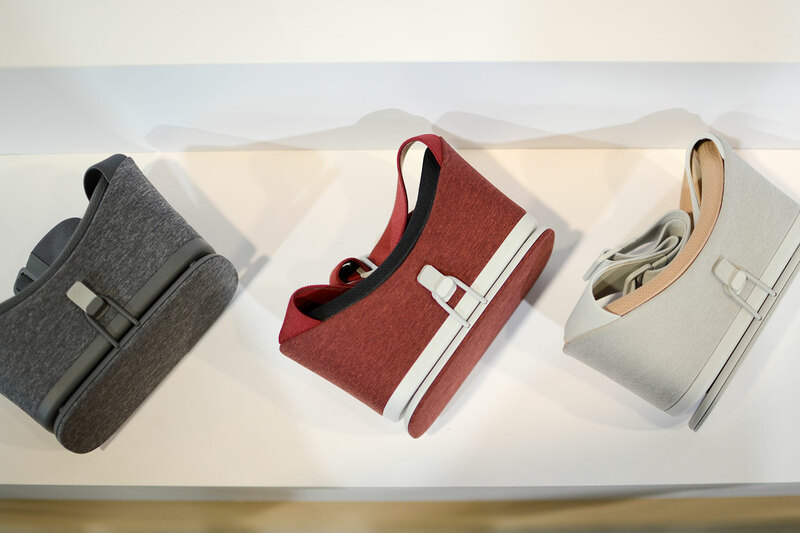 Daydream View will likely be the highlight, and it will be a way for Google to showcase its new Android VR platform to the masses. 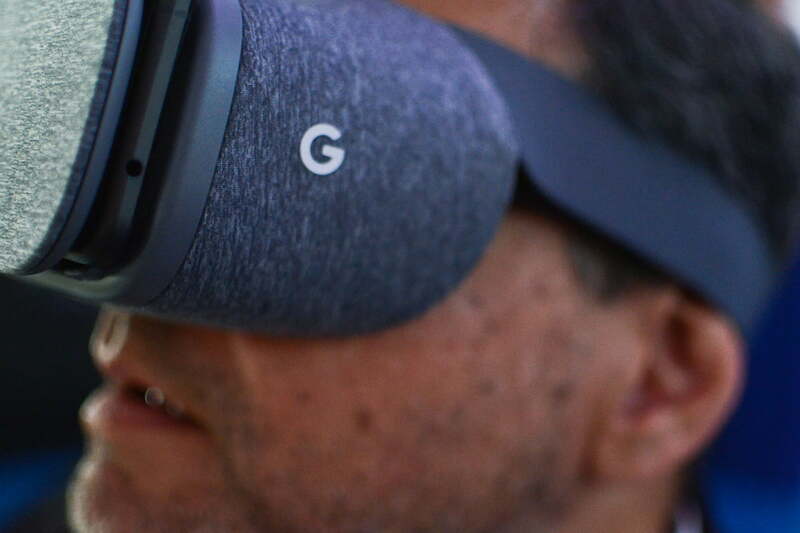 Google recently launched the Google VR SDK, a collection of tools that lets developers tap into Daydream-compatible hardware. At its launch event in San Francisco, Google said more than 50 partners will bring apps and games to the Daydream platform. One of which includes an exclusive partnership with Warner Bros. to bring a Fantastic Beasts and Where to Find Them narrative VR game. Video will represent an outsized slice of Daydream’s launch content, thanks to partnered providers including Netflix, Hulu, Imax, HBO Now, CNN, and YouTube. Several have inked an agreement to capture footage with a 16-camera rig optimized for Google’s Jump virtual reality platform, a technology which intelligently weaves individual camera feeds into a 360-degree panorama. Game developers, too, will soon begin publishing Daydream experiences in earnest — Electronic Arts, Ubisoft, MinorityVR, NetEast, are among a lengthy list of outfits which have pledged to support the platform. And Google will be furnish development of a few titles itself — Bloomberg reports that it will spend a “high six figures” on VR video games. Daydream is in many ways the high-end alternative to Google’s debut VR effort, Google Cardboard. Google announced Daydream at its I/O developer conference in May. It’s perhaps best described as a holistic mobile VR solution: It sports a “home screen,” Daydream Home, from which downloaded apps and content can be launched, and settings to ensure text, social media, and other notifications come through properly. Daydream is in many ways the high-end alternative to Google’s debut VR effort, Google Cardboard: while Cardboard supports both iOS and Android devices and delivers mostly low-fidelity apps and videos, Daydream targets a decidedly enthusiast market. That’s almost immediately apparent from Daydream’s controller, which resembles a Nintendo Wii remote. It sports a few hardware buttons, a trigger, and a touchpad, which serve as the primary means of navigation. Manipulating lists, moving about carousels, and even flipping virtual pancakes in Daydream is accomplished with flicks, swipes, and taps. And it’s equally apparent from the high-end hardware Daydream requires. Google hasn’t publicly revealed the platform’s requirements, but a Quad HD (2,560 by 1,440 pixels) AMOLED display, Qualcomm’s high-end Snapdragon 820 processor, and 4GB of RAM appears to be the baseline. Daydream headsets aren’t any less beefy: Meanwhile, universally feature physical controls, touch-sensitive trackpads, focus wheels, and specialized sensors. Daydream devices will compete in a field increasingly crowded by competitors. In May of this year, Samsung sold more than 300,000 units of the Gear VR virtual reality headset. And in April, the Korean company announced that the headset had surpassed more than 1 million users. 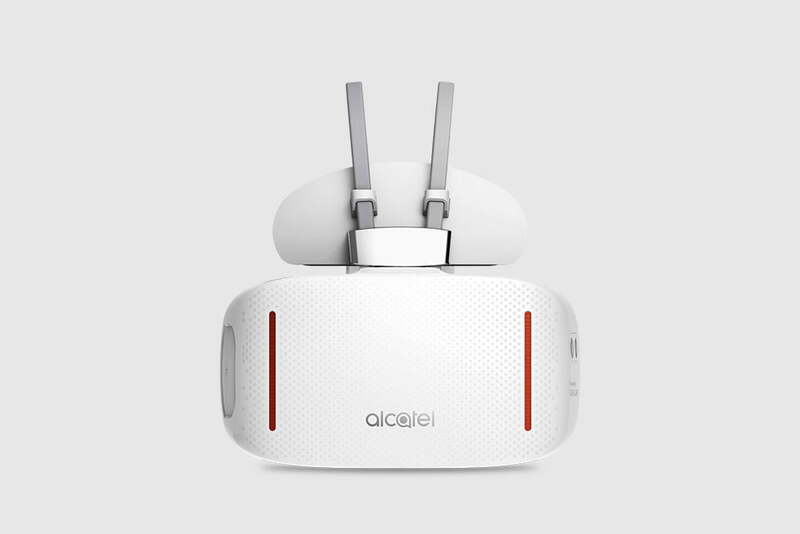 At the IFA consumer electronics convention in Berlin this year, meanwhile, Alcatel announced the Alcatel Vision, a self-contained virtual reality headset with physical controls, a rechargeable battery, dedicated processor, and cellular connectivity. The company announced content partnerships with Magic Interactive Entertainment and audio firm Fraunhofer, and said the headset will ship with a library of over 100 VR-optimized videos and over 50 games. Even chipmaker Qualcomm is making a play at the burgeoning space. Earlier this year, it partnered with silicon firm Intel to produce a VR headset capable of spatial tracking and gesture recognition — all without external sensors or hardware. It’s shipping to Qualcomm’s partners within the next two months. The motivation among manufacturers is profit, primarily. Facebook famously bet big on the VR market two years ago, spending more than $2 billion on headset startup Oculus. And smartphone maker HTC, in June, announced a $10 billion VR venture capital initiative to spurt the creation of virtual reality games and apps. More broadly speaking, the VR industry is ripe for blockbuster profits: Market research firm IDC projects that the industry will generate more than $2 billion dollars this year on shipments of 9.6 million units. By 2020, those shipments could grow to 110 million. Article originally published in September. Updated on 10-07-2016 by Julian Chokkattu: Added official confirmation from Google.